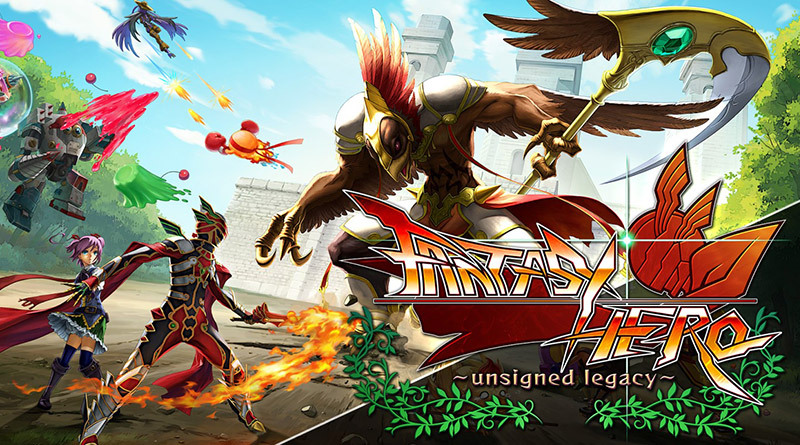 Arc System Works has announced that Fantasy Hero: Unsigned Legacy, the action RPG that lets you pick the playstyle just for you, is now available on the Nintendo Switch eShop for $9.99 / €9.99. Choose one of four heroes — a justice-obsessed swordsman, a mysterious Crow with a penchant for guns, an inventress with a giant robot and a bone to pick, or a well-muscled luchador — to fight the mysterious Decoders and save the world. Use the Nintendo Switch’s unique handheld mode to take your heroes on the move and defeat evil anywhere. Select from one of four heroes to save the world, each featuring a different playstyle: slashing, wrestling, shooting, or punching with giant robot fists! Heroes, supporting comrades, and enemies come to life as the story unfolds. Utilize the skill tree system to train your character to further suit your own playstyle. Win Scratch Tickets after successful missions and try to win fabulous rewards.